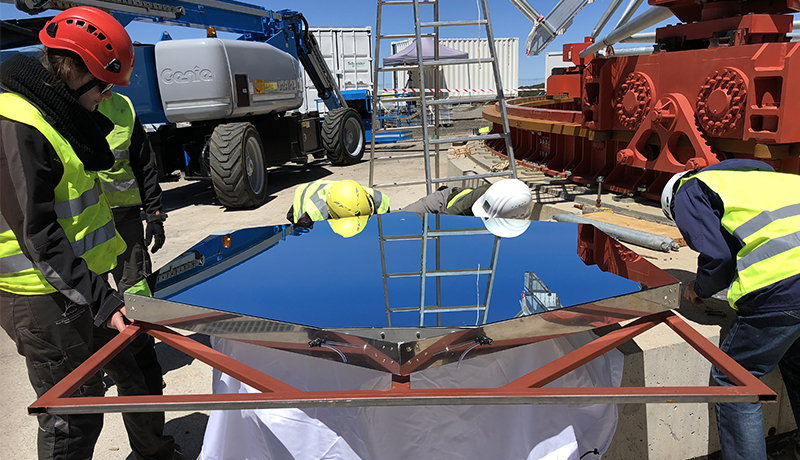 On October 10, 2018, the first prototype Large-Size Telescope (LST-1) of the Cherenkov Telescope Array (CTA) project was officially inaugurated at the northern array site situated at the Observatorio Roque de los Muchachos (Canary Islands). Two months later on December 19, 2018, the prototype telescope delivered its first images. This next-generation telescope serves as the working prototype for planned arrays in the northern and southern hemispheres. Over 100 telescopes will eventually be built for the arrays which together will comprise the CTA Observatory (CTAO). 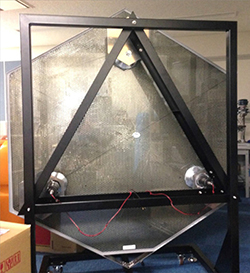 The University of Tokyo, a consortium member and major contributor to the CTA project, worked with The Imaging Source to supply cameras for the telescope's Active Mirror Control (AMC) system. The large number of telescopes planned for the arrays will deliver unprecedented sensitivity (10 times that of current systems) and accuracy in the detection and imaging of high-energy gamma rays. 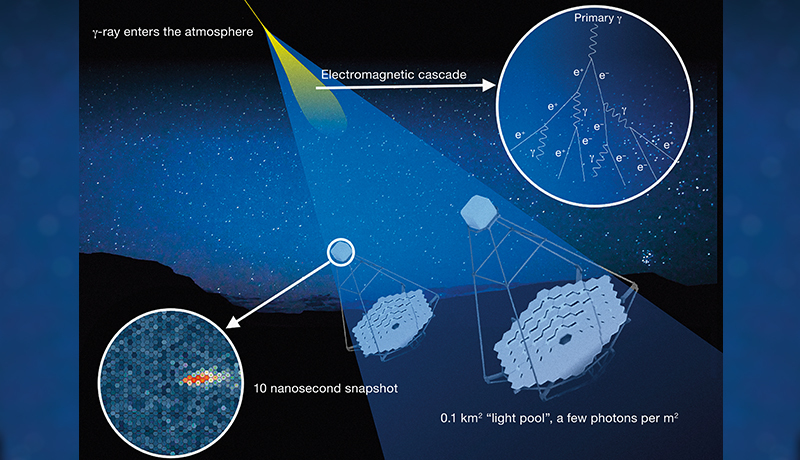 Using a design based on current-generation gamma-ray detectors called Imaging Air Cherenkov Telescopes (IACT), the LST-1 has a 23 m reflector covered by 198 hexagonal mirror segments. In order to maintain optimal accuracy, each of the 198 mirrors must maintain a precise angle in relation to the main camera and its 265 photomultiplier tubes which sits 28 m above the reflector. Project requirements specify that rapid telescope repositioning toward a desired target area be accomplished in under 20 seconds. Additionally, weather conditions and the reflector's own weight (approx. 50 tons) cause deformations in the dish and the camera support structure which affect the alignment between the 198 mirrors and the telescope's main camera. These factors make an efficient and reliable system for mirror adjustment (i.e. focus) critical. When the telescope was first designed, several methods were considered including a laser-scan system and gyroscope system. In the end, none of these methods proved feasible due to price and performance concerns. Scientists from the University of Tokyo were tasked with delivering a viable, cost-effective solution. They turned to machine vision and selected The Imaging Source's GigE monochrome cameras for the project. The GigE cameras feature global shutter sensors with 1.2 MP resolution. The CMOS cameras' compact and robust form meant they could be easily positioned in an IP67 case for additional protection from the elements. Once encased, the CMOS cameras were then mounted in a cutaway corner of each mirror (fig. 2 and below right). The reference point of each mirror is defined by the Optical Axis Reference Laser (OARL), whose wavelength is in the near infrared region. The CMOS camera in each mirror measures the position of the OARL's light spot on the main camera's target in order to identify the current mirror direction with respect to the optical axis. Each camera is connected with a board computer via the GigE interface. When the telescope is moved to a new target, the mirrors are adjusted based on look-up tables which store the correct position of each mirror. Because look-up tables are pre-defined, however, they do not take structural changes due to weather and the telescope's own weight into consideration. On the basis of the OARL position captured by the CMOS camera, a position is calculated and sent back to the actuators on the back of each mirror (image right) so that each mirror can be adjusted to the required angle. First discovered accidentally by defence satellites in the 1960s, gamma ray bursts (GRBs) from deep space result from the most violent interactions in the universe. Gamma rays, the highest energy wave on the electromagnetic spectrum, are about 10 trillion times more energetic than visible light and are ionizing radiation, making them biologically hazardous. Fortunately for life on Earth, the planet's atmosphere destroys virtually all gamma rays before they reach the surface which initially meant that the first gamma ray detectors were satellite-borne observatories. Upon entry into Earth's atmosphere, gamma rays produce subatomic particle cascades. These charged particles emit a blue light called Cherenkov radiation. In the early 1980s, scientists at the Whipple Observatory developed a terrestrial telescope system using Cherenkov radiation to detect and track gamma rays to their sources. Much like seeing through the body with X-rays, gamma rays allow astrophysicists to examine some of the most violent environments in the universe and see through cosmic objects such as black holes and super nova. This new data will enable fundamental discoveries physics and in particular the nature and properties of dark matter. In addition to the LST, two additional telescope sizes are required to completely cover the range of energies: Medium-Sized Telescope (MST) and Small-Sized Telescope (SST). Somewhere between 2021 and 2025, the number of telescopes online worldwide should be high enough to enable large-scale data collection which will dramatically improve accuracy and sensitivity. Technical details provided in the article are based on the published research paper, written by Prof. M. Hayashida, Prof. M. Teshima et. al., published in Proceedings of Science under the title, "The Optical System for the Large Size Telescope of the Cherenkov Telescope Array." 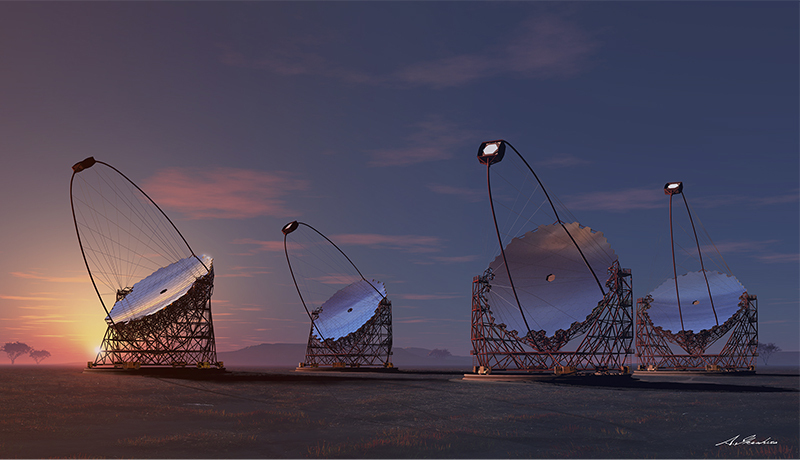 For detailed information about the Cherenkov Telescope Array project and its scientific goals, please visit: www.cta-observatory.org/. Post published by TIS Marketing on January 8, 2019.